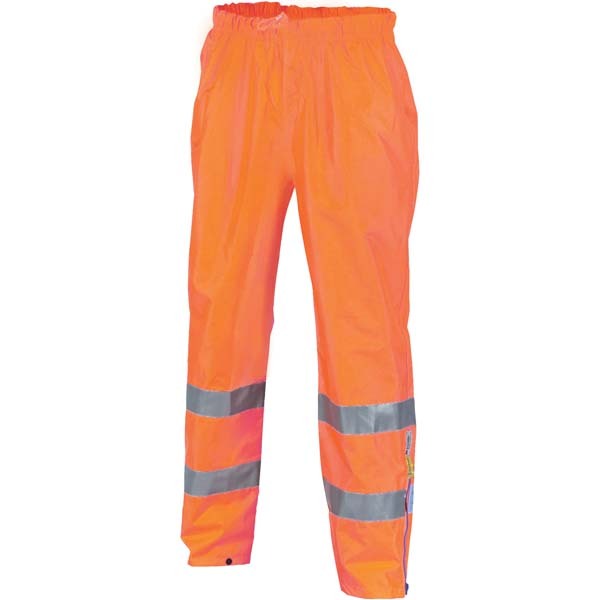 300D Heavy Duty Breathable Polyester/PU coated, seam-sealed. 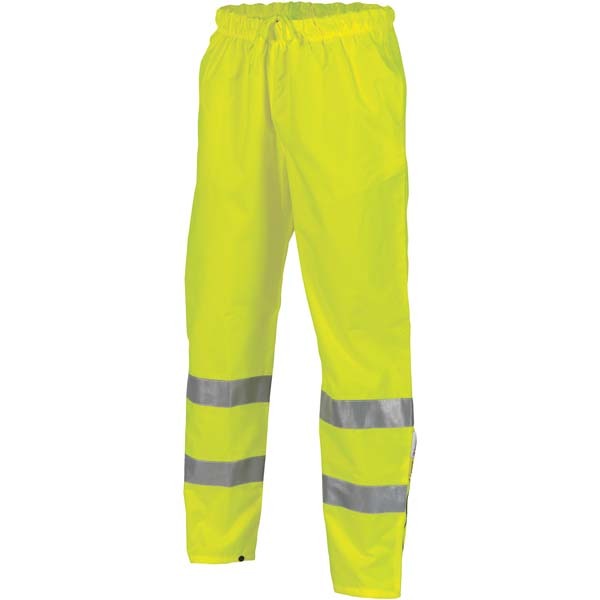 Hi Vis Breathable Rain Pants with 3M reflective tape. Elastic drawstring waist with leg zippers and press studs closure.